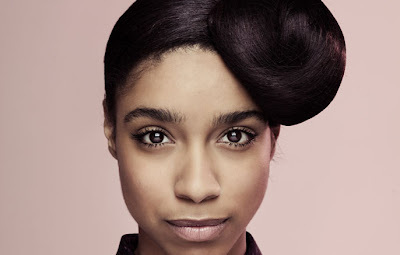 Discopop Directory: Lianne La Havas video "frenzy"
I'll keep this short as I'm about to head off to the Brits, where Lianne La Havas has a stunning zero nominations. Not that she doesn't deserve them - her debut album, Is Your Love Big Enough, was one of last year's best. Produced by Matt Hales (aka Aqualung) it was a quirky, plush, sonically adventurous record, bound together by La Havas' stunning vocals, recorded up close with precious little processing. In other years, she would almost certainly have been a contender for Best British Female - but the 22-year-old simply couldn't compete with the commercial clout of Emeli Sande or the tear-stained nostalgia for Amy Winehouse. But Ms La Havas doesn't need the Brits. And, in an Adele-style finger salute to the voting academy, she's uploaded two new videos on the day of the awards. So, here we have the piano-led confessional Gone, and the beautiful Scott Matthews cover Elusive. Enjoy, then remember what you could have been watching when Ben Howard pops up on your telly tonight.